We would like to invite all members of Yea Camera Club to enter November's Photography Competitions. If you could forward this email on to your members we would really appreciate it. Feeling lucky? Then don't miss our fantastic selection of brand new photographic prize draws. 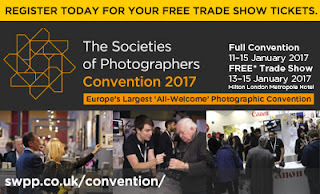 Europe's Largest 'All-welcome' Photographic Convention and Trade Show is to take place at the Hilton London Metropole, Edgware Road , London in January 2017. All photographers from professionals to enthusiasts are welcome to attend The Societies' Convention and Trade Show. Over 100 exhibitors have confirmed their attendance and over 30 hours of free seminars and demos are set to take place during the Trade Show (Friday 13-Sunday 15). Pre-register before 6 January 2017 for FREE and avoid £10 entry fee to Trade Show. Don't miss out on the chance to start off the year with inspiration from some of the world's best photographers.